How does Churchill assess the information that is brought to him? How does his personal or political philosophy, or a moral sense, sustain him? How does he draw inspiration from those around him? How does he deal with setbacks and disasters? This consise book, based originally on a lecture delivered to President George W. Bush’s senior staff, gets to the heart of the trials and struggles that have confronted the world’s most powerful leaders, even up to today. 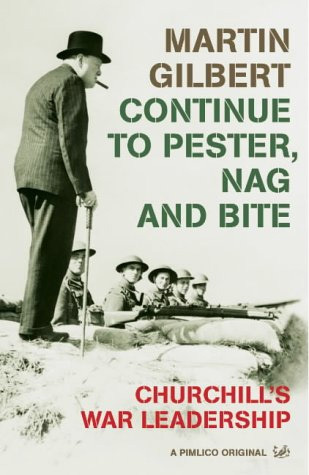 Basing the book on his intimate knowledge of Churchill’s private and official papers, Churchill’s official biographer, looks at the public figure and wartime propaganda to reveal a very human, sensitive, and often tormented man, who nevertheless found the strength to lead his nation forward from the darkest and most dangerous times.